I’ve just returned from a trip to Copenhagen. It is a place that gets you thinking about the spaces we create. On our final day there I found this slogan/truth, emblazoned on a bronzed window. A perfectly Danish thought. High ambition, aesthetic intent, inclusive socialist principles. I took it to mean space not only in the physical sense, but the temporal sense too. Taking the time necessary to influence the way things look and feel. My wife and I spent three days there, having left our children with their grandparents. We wandered. We drank coffee. We ate amazing food – which, like the city’s furniture, is sculpted, designed, thought through. We cycled. We sat. We poked around the endless nooks and crannies that are there to be found, hidden within the wide, open neighbourhoods that make up this flat, calm, cool city. All this encapsulated on a window to a store selling beautifully designed furniture. 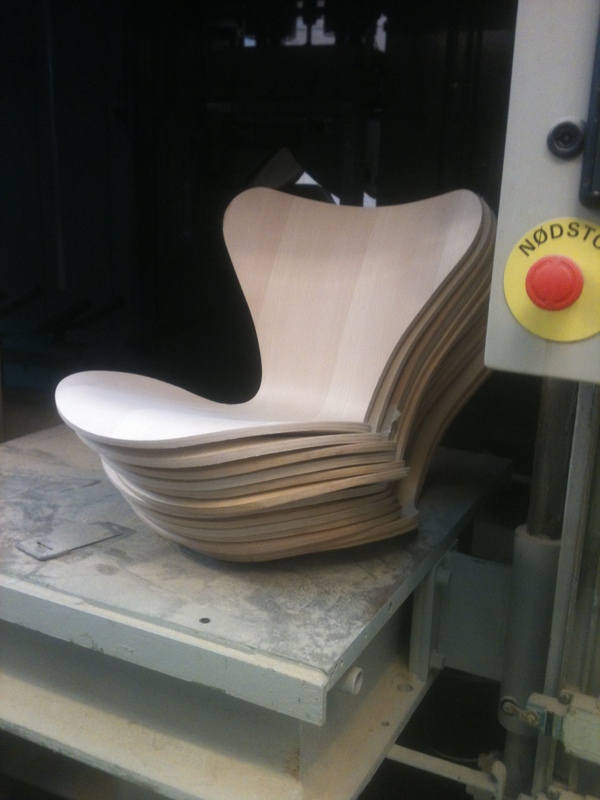 This is not surprising: beautifully designed furniture is difficult to avoid in Copenhagen. Especially chairs. 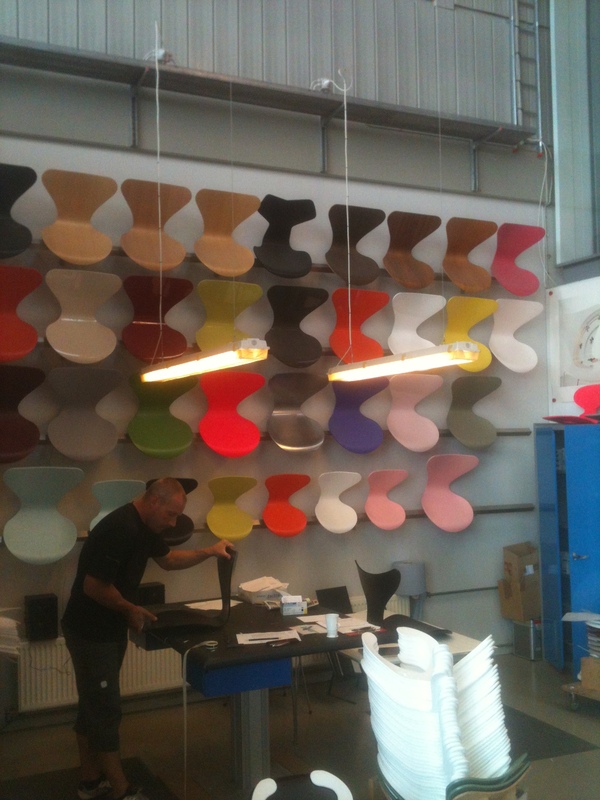 Perhaps, thinking about it now, there’s a reason that chairs are so central to Danish design. The functionalist credo – purpose combined with ideals – requires contemplation, and these are definitely chairs in which to sit and think. But I love this sign because it sums up something interesting about Copenhagen’s fascination with design, which is as much about itself as it is for its users. Its design principles, as well as its output, are on show. Arne Jacobsen chairs and Poul Henningson artichoke lights are everywhere, of course, but the reason for their ubiquity isn’t that far from the surface. This is furniture that’s as much a product of a nation’s ideals as its tax system is, or the fact that cars give way to bikes on the road. Yup, that pretty much covers it, I think. In Copenhagen things seem intended. London feels chaotic and accidental by comparison, a product of clashing ideologies and a nasty, brutish architectural state of nature. Here the concept of the idea follows through to execution of the experience. The thinking is the making is the using. All this has got me thinking – and I’m not really even sure why – of what Russell Davies has been talking about recently: the product is the service is the marketing. He is primarily talking about the Government Digital Service, of course. A Design Award winner, possibly kind of even functionalist the way it is rendered. I take this to mean that what is inherent in the reason the product exists should be present in the way it is experienced, which in turn informs the way – and why – it is promoted to the other people. I saw this explicitly when we were lucky enough to enjoy a private tour of two sites owned by the design company, Fritz Hansen. The office itself is beautiful. It houses an archive that can be accessed by art students, and a display of all the chairs made by the company over the last century or so. 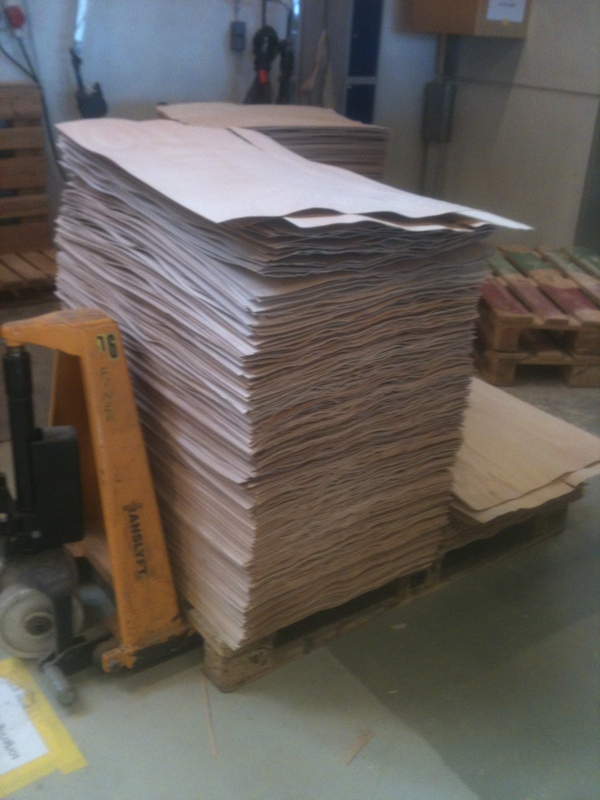 Seven individual pieces of wood are glued together, using cotton to strengthen each piece, to make 7-sheet ply. Veneers cover the front and back. Then it gets cut. 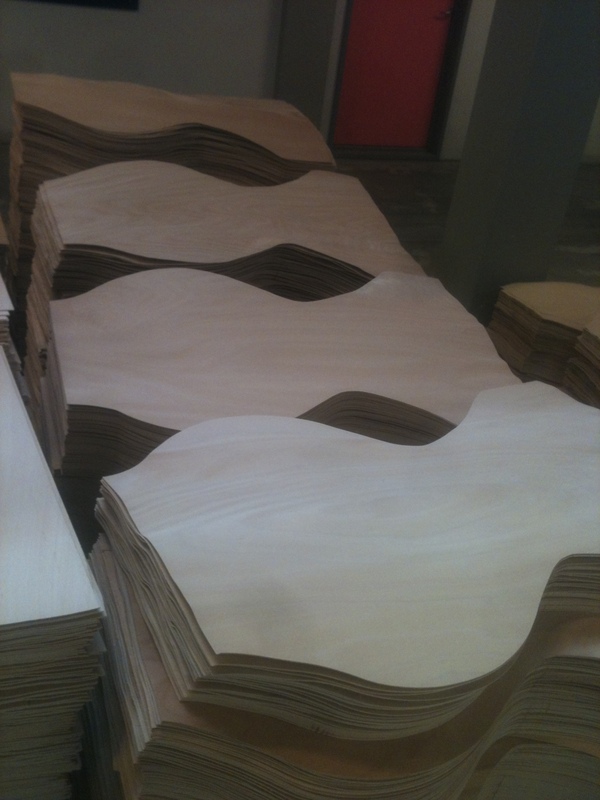 Then a mold steams and bends the wood into shape. It is sanded and rubbed into a recognisable shape. Until you end up with a variety of colours and finishes. Witnessing or fetishising the manufacturing process isn’t new in marketing, of course. Jack Daniel’s have been doing it for years. Provenance and connoisseurship seem inherently valuable today. But this isn’t all craftsmanship. 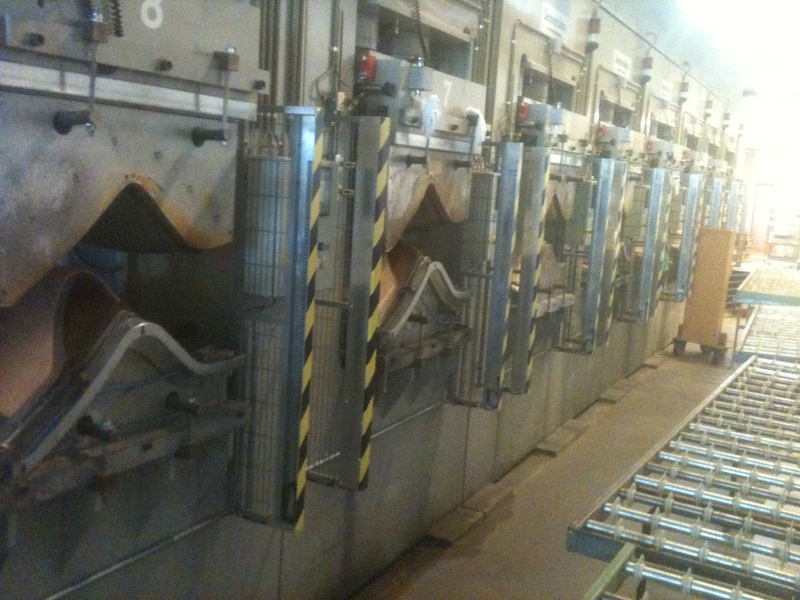 Machines and robots were incorporated years ago. And although their products are premium these days, the Fritz Hansen ethos actually requires them to reconcile quality and accessibility. 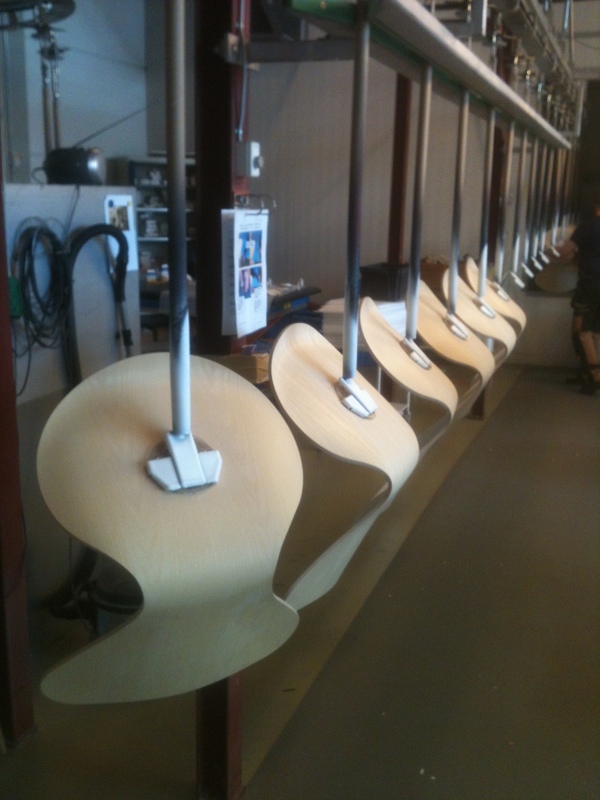 All the chairs are made the same way as both a guarantee of quality and to streamline the production process, keeping costs down. What becomes clear, watching the process, is that what commands the premium is not just the time or the cost, but the commitment to the design. There are still twenty separate points at which human intervention occurs. That’s twenty opportunities to spot and eliminate any sub-standard pieces. And it is this attention, this particularity, that you pay for. The design is rigorously adhered to because it is so self-evidently a good thing. It is a good thing because of the sheer ineffable pleasure it generates. And pleasure is important, because it ensures that society values beautiful things. Imagine if all brands started with that. Not with delineations between service, brand and marketing. But with a design principle, a point of view on the world that its products made manifest. An ambition to make everything they did an execution of a belief, or an aesthetic. 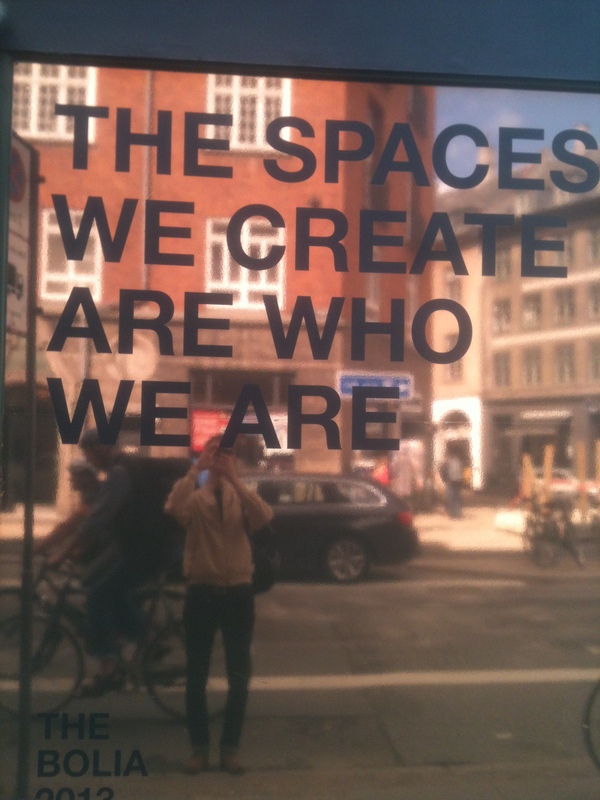 To be what they are because of the spaces they create. You are so right about matching a product’s website, to its own design. Taking a page from nature’s door is always wise, when it comes to eye-appeal.